Some new rules on the use of child car seats came into force earlier this year. It is important that leaders are aware of the changes and the law in general when transporting children and young people for BB activities. To provide further clarity we have produced a fact sheet with all the relevant details and some advice to leaders. 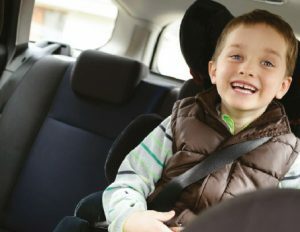 The law says that all children aged from 3 to the age of 12 (or 1.35m height) must use the correct car seat, although there are some exceptions to this including when children travel in a minibus or a coach. As an organisation who carries other people’s children, BB leaders have a legal duty to ensure they carry them safely. Download the fact sheet at leaders.boys-brigade.org.uk/factsheet-childcarseats.pdf and check out childcarseats.org.uk for further advice.